Healthy food will be served. Learn 5 key ways to waste less food – you could save up to £700 a year. 20 mph or 30 mph on your street ? 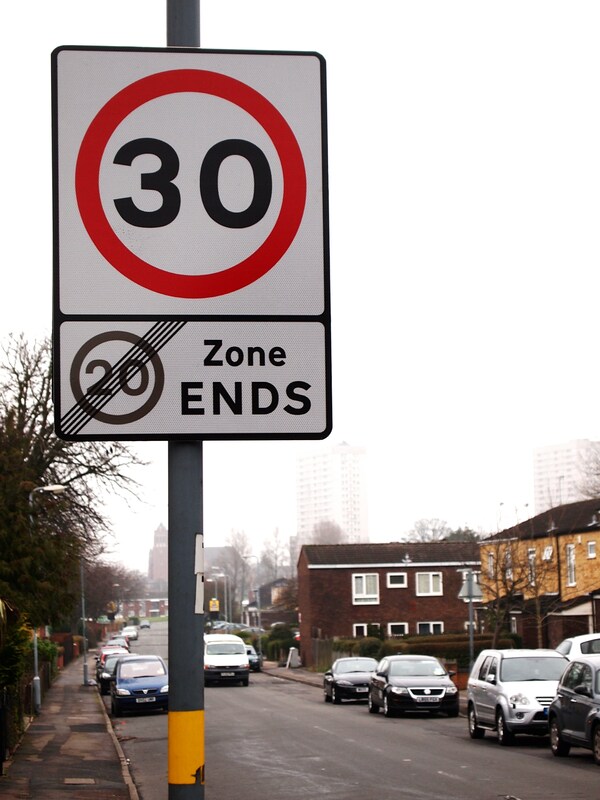 Birmingham City Council has approved a pilot 20mph speed limit project. Central South Birmingham is the first of four pilot schemes. It covers Moseley and Kings Heath, Sparkbrook, parts of Springfield wards. Are there any roads proposed for 20mph that you think should remain at their current speed limit? Are there any roads proposed to keep their current speed limit that you think should change to 20mph? Consultation closes on Friday 4th July 2014. However, i am less sure about clebrating Climate Week at a time when our city and our island is battered with an unprededented succession of storms and floods. It is time to take these natural disasters very seriously and behave as though we are responsible for their causes and mean to mend our ways. This summer I travelled from balsall Heath to Poland on a placement with the EU’s “Low Carbon Pioneers” programme. This exchanges people involved in building a low carbon society in their own region with others across Europe. First was a placement about renewable energy in Birmingham, then five weeks abroad. Poland struggled with rebuilding after World War 2, and then moving on from Communism. An independent environmental movement has only begun to emerge, so the downsides of development are not much discussed. I was shocked to see a Tesco superstore in Wroclaw on what had been allotments. Much coal is burned for winter heat and electricity generation so carbon reduction seems a big ask. However, travelling through Germany I saw wind turbines and solar arrays everywhere, waiting to spread when a feed in tariff for clean power comes to Poland. The project we worked on was an Ecopark. I showed slides of green space in Birmingham, and the Bee Garden idea was picked up. Eastern Europe can benefit from the experience of our environmental movement. They can also look to their own land and traditions for the future. Many thanks to the Old Print Works for hosting our AGM of Balsall Heath Is Our Planet. The building is certainly coming back to life and giving a great example of the creativity that can revive older buildings with heritage value. The food from the ORT Cafe was just what we wanted, and having this facing onto the Moseley Road, opposite our gloroius swimming baths is a huge step forward. The maintenance of opening hours at the Library is also helping keep the area alive. Please let us know if you can attend to help renew the organisation and hear about progress on our projects and future plans. Do bring a friend, guest or partner if you like. We would like an idea of numbers for catering.. The Low Carbon Communities Challenge is a scheme from the government’s Department of Energy and Climate Change. The BHIOP Steering group felt this was an exciting opportunity for the neighbourhood, but decided to co-operate with next door ‘Sustainable Moseley’ to put in a joint application for funding. Unfortunately we were not selected in January for the phase 2 of LCCC, but will keep up the conversation with the Department of Energy & Climate Change in London.